The Knee is a hinge type of joint between the thigh bone (Femur) and the leg bone (Tibia). The Kneecap (Patella) is a small bone placed in front of the Knee Joint. It glides up and down in the groove of the Femur when the Knee bends and straightens. 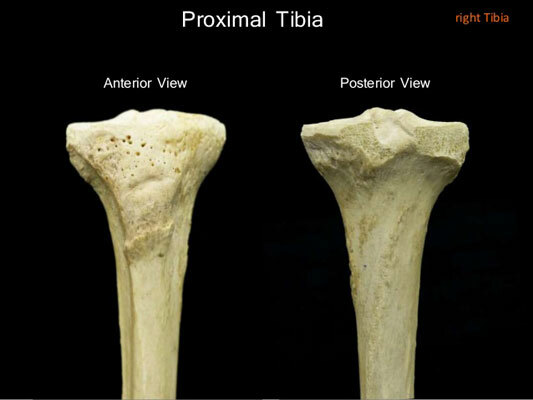 Fibula which is a thin long bone next to the Tibia is not a part of the Knee Joint. Both the left and right Femur converge towards the Knee and each Tibia is nearly vertical. The Femur ends in two rounded Condyles, the outer Condyle (Lateral Condyle) and the inner Condyle (Medial Condyle). These two Condyles are joined in front to form the Patellar Articular surface and these are separated at the back by a deep Intercondylar Fossa. The Medial Condyle is larger, more curved, and projects further than the Lateral Condyle, accounting for angle between Femur & Tibia. The sides of Condyles are roughened and projected somewhat as medial and Lateral Epicondyles; the thick cartilaginous surfaces of the Knee helps to spread out the joint reactive load over a wide area and helps to contribute to the cam shape of the Condyles. This maximizes the Extensor lever arm. In degenerative arthritis the quality of the articular cartilage is lost, due to wear and tear and the Patellofemoral Joint is reduced to a cylindrical outline. The upper (Proximal) part of the Tibia is large, and expanded into two eminences the inner (Medial) and the outer (Lateral) Condyles. 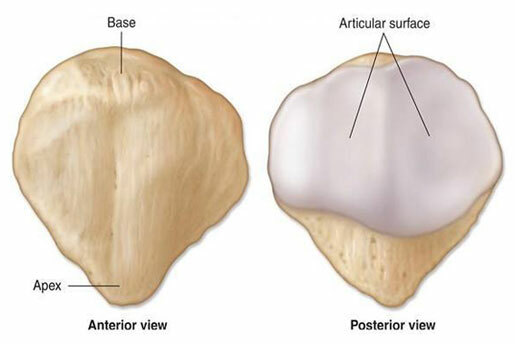 The superior articular surface presents two smooth articular facets. The oval-shaped Medial Facet is slightly concave from side to side, and from before backward. The circular shaped Lateral Facet is concave from side to side, but slightly convex from before backward, especially at the back part, where it is prolonged on to the posterior surface for a short distance. 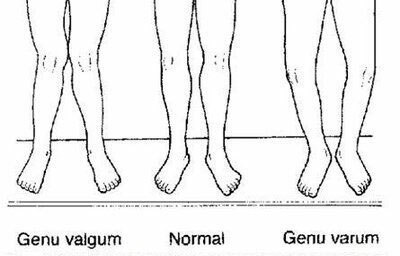 The central portions of these facets articulate with the Condyles of the Femur, while their peripheral portions support the menisci of the Knee Joint. Between the Articular Facets, but nearer to the posterior aspect of the bone, is the Intercondyloid eminence (Spine of Tibia). In front of and behind the Intercondyloid eminence are rough depressions for the attachment of the Anterior and Posterior Cruciate Ligaments and the Menisci. 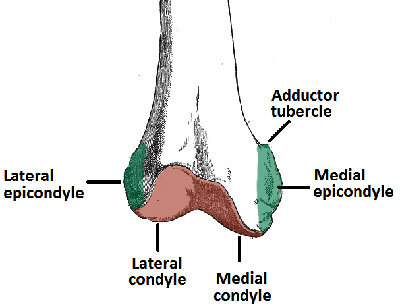 The front of the Condyles are continuous with one another, forming a large somewhat flattened area, ending in a large oblong elevation, called the Tibial Tuberosity. This gives attachment to the Ligamentum Patella. At the back, the Condyles are separated from each other by a shallow depression, the Posterior Intercondyloid Fossa, which gives attachment to part of the Posterior Cruciate Ligament of the Knee Joint. It is a flat, triangular bone, situated on the front of the Knee Joint. It is usually regarded as a Sesamoid bone, developed in the tendon of the Quadriceps Femoris. It serves to protect the front of the joint, and increases the leverage of the Quadriceps Femoris by making it act at a greater angle. It has an anterior and a posterior surface three borders, and an apex. The Patella is drawn into Trochlear Notch of Femur, & Patellofemoral contact is made from 0 to 20 degree of Knee Flexion; the initial contact is made at the Lateral Facet of the Patella. Further Flexion of Knee moves Patella Anterior relative to center of rotation of the Knee, which improves the mechanical advantage of Quadriceps Mechanism; the Patella continues to move laterally at 90 degree of Knee Flexion, and Lateral border of the Patella provides the primary loading site.